I attended the first Retirement Coaches Association conference held in September 2017 in Ann Arbor, Michigan... and wanted to share my experience! I am highlighting just a few things in each session that my retired audience might find interesting. First, if you are a Retirement Coach finding this page, please learn more about the RCA and next years conference here. Robert Laura, the founder of the Retirement Coaches Assn, is a Retirement Activist and Financial Planner. He and his wife, Amie, did the work to get this first conference together. The conference was great, in part because of the tight Retirement Coaches niche. Also, because the introvert in me loved the smaller group (even though I admit I didn't speak to everyone there). Kudos to Bob and Amie for pulling off a superb event! Retirement Coaches, of course! We also had a few financial advisors and someone writing a book. The Retirement Coaches were the cool part, for me, as they spoke my language! We all do the same coaching, talk the same talk, and I loved the camaraderie (from the first session)! Everyone was so open and willing to share. I hope to connect with many more of them throughout the year! I will highlight the speakers below and add links to their sites so that you can check out whomever hits home with you! Mickie Schroeder & Jeff Jans, from Boomerangs Retirement Coach, were an intriguing duo and I hope to spend more time with them. Age 65-69 are more likely to work than teens and 2/3rds are working full-time! More employers should follow the U.S. Government model and offer Phased Retirement. Many employees cut their hours in half but still get health care and other benefits until they retire. Joanne Waldman does the webinar training for Retirement Options Coaching. Many of the coaches attending were trained here. Retirees have been given a GIFT: the opportunity for positive change, empowering perspectives and a pathway to new beginnings! #truth! Sara Zeff Geber from Life Encore then spoke about Men Vs. Women in Transition. She talked about how women can hold multiple identities better than men. Women are less stuck on their identity, while men have a more challenging time going from "I am _work identity_" to "I am Retired". Of course, this isn't always true, especially with corporate CEO women. I stopped writing as my brain was concentrating on all she shared! Robert Laura and Donna Martin from Change Engine did this session. I was really curious about this session as I love playing Entrepreneur (as most of you know). They talked about focusing on the psychological aspects of starting a new business. This IS really important because your MINDSET is everything! Is your new business idea aligned with your values? They also talked about PASSION for your business. What is timeless, tireless, and causes contagious energy? Laura Riddle from Riddle Coach Counselor is transitioning from being a therapist to Retirement Coach. She talked about retirement transitions and all that it compasses. Pretty much nothing stays the same from your health, relationships, work life, and more. She called this stage of life "Life without a Script" -- sudden freedom! Sheila Kabat from CMA: Career Management Associates and Saundra Loffredo from Perfect for You Coaching lead this session. Both help retirees transition from career to retirement. This was an eye-opening discussion and I suddenly view post-retirement employment very differently... and that's good! Sara Zeff-Gerber from Life Encore spoke again. She talked about retirees getting older as we live longer lives... but is it a happy, healthy and productive life? Oddly enough, I didn't expect to like this session but took 6 pages of notes! As you embrace aging, you are better equipped to deal with life. Sara talked about the visible and not-so-visible aspects of aging. She talked about solo aging, and aging with a partner, and who really matters to us. Finally, the following two books are about your wishes should you become ill or die. 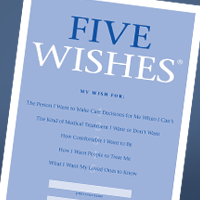 Five Wishes is an easy-to-use legal document written in everyday language that lets adults of all ages plan how they want to be cared for in case they become seriously ill. Read This When I'm Dead is a fill-in-the-blank guidebook which helps you journal answers to questions you loved ones will need and want to know. This is not what we want to think about, but both will greatly help your loved ones later. Click to buy from Five Wishes site. When someone sees you in five years, what do you want them to say? What's the one thing you tell no one about you retirement? Stuck on a desert island, what is the one relief you have? Assuming you die at 95, what do you want said at your funeral? Are you just breathing in air or are you living? She gave much more coaching guidance but those questions are enough for retirees to contemplate today! Joanne really ROCKS retirement coaching! The Retirement Coaches Association conference had more sessions dealing with networking, RCA planning, marketing -- things not necessarily of interest to my retiree audience, so my summary will end here. 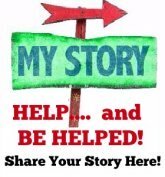 I had a really great time, left with a ton of notes to incorporate into my site, and the knowledge that I need to step it up and help more retirees like NOW! Thank you for all who took the time to meet this introvert... hoping to meet many more of you next year! The following sites are all from members of the Retirement Coaching Assn. (they simply didn't speak at the conference, like me). Who knows, maybe one will be the perfect resource for you! Jill - Financial Connections - I enjoyed dinner with Jill while talking retirement finances and long term disability. Made a few connections in my own mindset that I totally didn't expect to make. Thanks Jill! Ray from Unfettered Potential - Ray lead lunch discussions! Drum from Osborn Wealth Management - Our Master of Ceremonies!